Thinking about buying a Surface Book 2? Then this Black Friday deal from John Lewis could tempt you into shelling out for a fully loaded model, as it has a discount of no less than £370 applied. 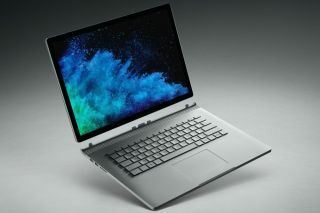 For that money, you get a 13.5-inch Surface Book 2 powered by an Intel Core i7-8650U quad-core processor (capable of 4.2GHz boosted) and backed with 16GB of system RAM with a 512GB SSD. Graphics are provided courtesy of Nvidia’s GeForce GTX 1050, a discrete GPU with 2GB of dedicated GDDR5 video memory. In other words, this is a very nippy portable, as we observed in our review, where we also praised this device’s premium (and fanless) design as well as its sterling battery life. Furthermore, don’t forget that there is a Black Friday deal on the new Surface Pro 6, as well.